A Seattle News report shows me two things. In it, military chaplains, active or retired, argue against the repeal of Don't Ask Don't Tell on two grounds. If a chaplain preaches against homosexuality, he could conceivably be disciplined as a bigot under the military's nondiscrimination policy, the retired chaplains say. My response: Just because a belief has a religious basis doesn't mean it isn't bigoted. Clergy would be ineligible to serve as chaplains if their churches withdraw their endorsements, as some have threatened to do if "don't ask, don't tell" ends. Many religious groups have teachings that exclude certain classes of people from salvation, or preach against the activities in which they participate. If a chaplain is not able to minister to those of other faith traditions — or none — then he or she should likely take up a traditional mono-religious institutional calling — as perhaps some of the retired chaplains already have. Active chaplains have to deal with all sorts and conditions of people, many of whom will have beliefs inimical to their own. There is not enough to support a chaplain for each and every denomination or cult. So if a sponsoring church withdraws its endorsement, that church should find a suitable position for the former chaplain, perhaps in the parish of St Coals to Newcastle, where he or she will be able to preach to the choir until final retirement. On my flight back from London Monday I saw a beautiful but disturbing film, "Agora," telling the story of 4th-century Alexandrian struggles between Christians, Pagans and Jews, centering on the figure of the philosopher Hypatia, whom even early Christian historians record was treated horribly by other Christians. It is beautifully filmed, if slow-paced; most of the "action" arises from the zealotry of some of the Christian mob, employing literal hubris to make their points against Jews and Pagans alike, and it is not exaggerated. The formerly persecuted become the chief persecutors. The church "wins" but at a terrible cost to reason, human dignity, and, I think, to its own best interest, and better self. The film provides an interesting commentary on fanaticism, liberty of thinking, the terrible pressures of conformity to majority rule to the point of tyranny. When the gospel becomes not "this is what I believe" but "this is what you must believe" we have crossed a fearful boundary from grace to law — in contradiction to the very message intended. The church becomes a bully, a crowd of bullies, who stone and burn, and crucify. It becomes the thing it rightly rejects, and rejects the one whom the builders rejected. It lays waste while it claims to edify. Speaking of paradox, however, the film also got me thinking — relying as it does on the symbol of the conic sections and the ellipse — about the divine and human natures of Christ. The ellipse is the actual course of our island home's orbit round the sun, not in fact the ideal shape, the circle. The ellipse has two centers, and its realization — its incarnation if you will — revolves around them so that the sum of the distance to each is always constant. As Hypatia says — in the film; I have no idea if she ever said such a thing in reality — "A circle is merely an ellipse in which the two centers coincide." Another update: Please check out Faith L. Justice's analysis of the historical realities as represented in the film, at a blog I will definitely revisit "Historian's Notebook." If the Anglican Covenant would work (in keeping things together) we wouldn't need it. If it wouldn't work (in keeping things together) why have it? It is a tissue of aspirations barely cloaking a pessimistic mistrust. It is a relatively pointless (v. supra) exercise in ecclesiastical self-absorption. But to return to my primary observation: no diocese can consecrate a bishop without the consent of a majority of all of the other dioceses (either meeting at General Convention or in the more diffuse times between its sessions; diocesan bishops functioning in both cases, but the deputies and standing committees taking the role in alternate performances.) And no new bishop can be confected by a single predecessor — the priest can only be rendered a bishop by the concerted action of at least three bishops. A diocese in isolation is thus not the church in its fullness; and if it remains alone, it is as fruitless as that unplanted grain of wheat, as it cannot pass on the apostolic succession apart from the collegial nature of the apostolic ministry. The diocese must die to itself, and be buried in the life-giving soil of the church, if it is to bear fruit in time to come. Those who seek to assert their sovereignty will lose it, but those who die to it will gain immeasurably. Compare this to the actual sovereign status of the various states in choosing their leaders. Can you imagine the outcry were it to be suggested that every state’s governor, in order to be installed as such, required the consent of the majority of all the other governors, and a majority of the legislatures of all of the other states, or of congress? For those who, bemused by superficial resemblances, think the polity of the Episcopal Church is based on or mimics that of the Federal government, compare and contrast! ps, blogging may be light, and comment approval slow as I will be away for the next week. In the midst of the pain and anguish over bullying, abuse, suicide and murder, some words of encouragement from the Bishop of New Hampshire. Let those with ears to hear, hear. A review of Ancient Faith, Future Mission, edited by Steven Croft, Ian Mobsby & Stephanie Spellers. Seabury Books 2010. (The Episcopal New Yorker, Summer 2010). There is nothing new about the search for novelty, or of such cautious warnings not so far to expand the edges as to lose touch with the center. In our present day, the urge to expansion and experimentation has been fueled and energized by “The Emergent Church.” The present collection of essays provides a helpful overview this exploration, as well as providing cautions of its own. The voices in these 16 essays, introduced by our present Presiding Bishop, range from the scholarly to the pragmatic; from the Archbishop of Canterbury to leaders of emergent congregations. 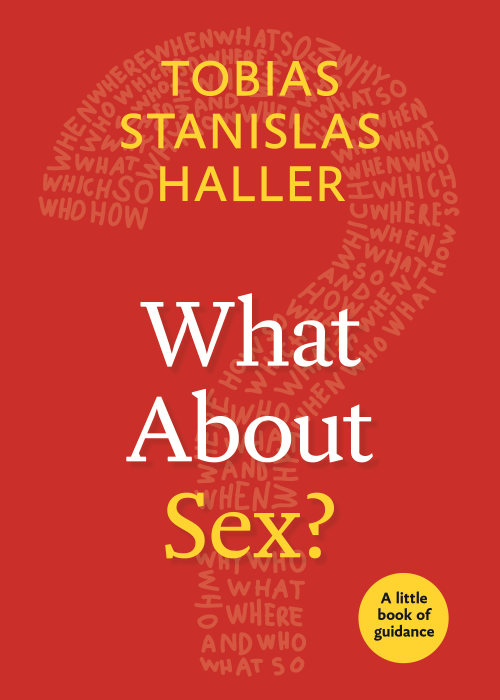 The editors, in a brief foreword, indicate that each contribution was made without reference to the others; so there is considerable repetition of primary themes as well as occasional disagreement. However, the dissonances tend to resolve harmoniously, and converge upon a basic drive for mission. Echoing William White, this movement is not about variety for its own sake; nor is it a formulaic solution to the problems of decline. This is not merely about new vestments, rearranging the furniture, coopting some ancient tradition (whether Gregorian chant or the labyrinth), or adopting the latest thing in electro-pop. Nor is this a game of children dressing up in their grandparents’ clothes, but a call to deep engagement with what is emerging — to borrow Thomas Brackett’s phrase, “midwifing the movement of the Spirit.” In her contribution to the collection, Phyllis Tickle suggests that the present Great Emergence is the next wave in the 500-year cycle of seismic changes that have rippled through the Church. Something new is coming — and the present Church is both mother and midwife to the change, both subject and object. We are all part of this process, whether we know it or not. 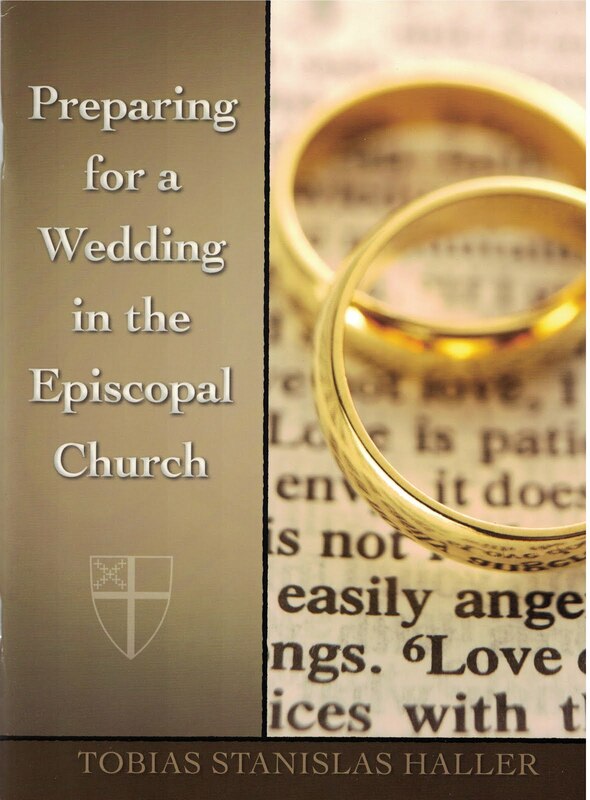 It is no surprise that most of the essays in this collection deal with liturgy. Anglicans have long understood their faith to be constituted in their worship. It is therefore welcome to find several reminders — drawing on such luminaries as Frank Weston — that worship without mission is precious at best and scandalous at worst. It is heartening to see that a number of the emergent experiences in these pages are based on outreach to people living on the fringes of society — and to see cathedral churches revivified and renewed by taking such human treasures seriously, and embracing them. The quality of the essays is variable, and as already noted there is a good bit of repetition. But each of them offers a thoughtful suggestion or correction to take to heart, as the whole Church engages with its ministry of bringing its own new self into being. Awareness of the reality and dangers of bullying, especially of youth who identify as or are perceived as gay, lesbian or otherwise "a stranger in our midst" is coming to the fore in the wake of several recent tragic or horrific incidents. What can be done? 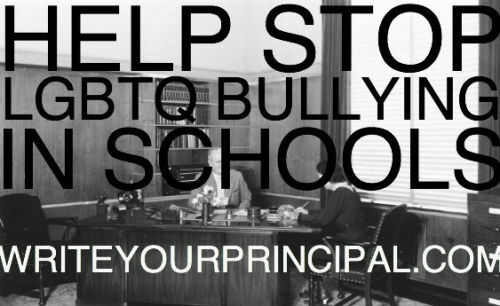 A practical suggestion is to write your own senior- or junior-high principal, however long ago you were a student, and express your support for efforts at minimizing or eliminating bullying. A website has been devoted to assisting this process and collating comments and responses. A commendable idea. In good Jesuit fashion, I have been trying over the last couple of years to think through the cost/benefit ratio presented by the Anglican Covenant, and the prospect of The Episcopal Church signing it. To put it bluntly, it seems to me that its only conceivable benefits correspond exactly to its costs. In response to the old legal question cui bono? a voice cries out, Nemo. Let me be more specific: the two most widely cited benefits of the Anglican Covenant are, first, to be able to speak in ecumenical dialogues with a unified voice; and, second, to be able to avoid controversy through a mechanism designed to generate consensus. I submit that both of these urged (and related) goods come at the cost of equally weighty (and twinned) evils. As far as ecumenical dialogue goes, there is already sufficient univocality in the Anglican Communion on issues of creed and doctrine. The same can be said for most of Christendom, with the exception of some churches’ parochial dogmas. As we all know it is primarily the form of church government that creates most divisions between churches, especially as to who is in charge. All current divisions within Anglicanism, largely over matters of pastoral or moral theology — ordination and marriage — are also present in the wider ecumenical sphere. What is more, a number of our active ecumenical (or even closer) partners tend to share TEC's more innovative position. The same can be said of the churches of Porvoo. Are they the Chopped Liver of Ecumenism? But to get back to the cost/benefit: the only way to speak with a single voice on these very matters would be for the Communion to abandon its actual identity as a chorus of voices singing in parts, and put on the identity of a monophonic choir. Now, I enjoy Gregorian Chant as much as the next monk, but the Anglican Communion, in spite of the significant role Gregory played in its creation, isn’t really all that good at singing in unison (except on the minima hammered out in the Reformation and Elizabethan Settlement) but is rather good at polyphony, rich with the cultures of many nations and tongues. Is it worth giving up our actual richness in order to please — whom, exactly? And will it please them? And whom do we offend in the process, such as all of those ecumenical partners who are already actually working with us? The second evil is related: as the process laid out in part four of the Anglican Covenant, however attenuated since its teeth were pulled from the text in the revision process, retains a subtext of coercion as a means to consensus — coming to agreement by attrition, picking off the voices in a parody of the Farewell Symphony. Again, we stand to lose the very richness and variety that form such a characteristic element in Anglican identity — particularly the freedom in matters of rites and ceremonies, which, the last time I looked, appears to cover ordination and marriage. Is it worth replacing the full-course banquet that is Anglicanism with such a mess of pottage? In the long run, the question remains, What does it profit the Anglican Communion to become a whole-world-church at the cost of its soul? Homophobia is a non-geographical violation of the mandate to love the stranger and foreigner, the alien in your midst. How many young lives will be lost to the maintenance of the Gingerbread House of the Institutional Church? Rowan, are you the Sandman, sending the children to sleep instead of guiding them home? Read a fine indignant rant from friend and colleague Susan Russell. 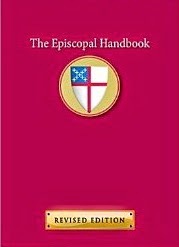 If asked my opinion, I would strongly advise the orthodox Primates to 1) organize before the Primates' meeting, and 2) attend and remove by force of numbers the Presiding Bishop of the American Episcopal Church (not physically, but by either voting her off the "island," or recessing to another room and not letting her in). The meeting is a place to gather and potentially to settle some of the issues that are pulling the Anglican Communion apart, and to begin to restore health to a most wonderful communion. In the above case, if Dr. Williams did not go along with Jefferts Schori's exclusion, then I would suggest having the next-door-meeting without him. I just don't believe staying home from the field of battle helps win a war over the truth and nature of Christianity within Anglicanism. My principle question is, whatever happened to "What touches all?" — the principle misapplied by the Windsor Report, but actually helpful if employed in its original sense. If the minority presence is to be "voted off the island" then we no longer have anything approaching a comprehensive communion, but something more like Lord of the Flies. Thanks for that image, David Anderson, you may now pass the conch to the next speaker. The imagery of warfare and spiritual battle — clad in the armor of pure self-righteousness — is only imagery after all, more schoolyard bluff and bother. I don't know what the "force of numbers" implies, but the hustling off to another room or venue next-door sounds familiar. If the Global South cannot even bear the presence of those with whom they disagree, then perhaps it is time for them to walk apart, from the other Primates, from Rowan, and from the Anglican Communion. Ecclesiastical researcher Colin Coward has published an important report on a previously identified, but extremely furtive and secretive form of Anglican wildlife, thought by many to be very rare (although no one knows how rare due to the aforementioned furtiveness). The shy and reclusive mammal belongs to the family Anglicanæ, genus Episcopus, and the species is denominated E. closeti after its normal habitat. Efforts are being made, via changes in attitude, at promoting greater knowledge of the species, or at least its visibility. A few very rare specimens have turned up in the U.S. and South Pacific, but their existence in Britain is only rumored or relies upon anecdotal evidence. Some researchers from the Global South believe the creature to be entirely legendary, akin to the Great Cat of Clough, and dismiss rumors of sightings as cryptozoology gone wild. We eagerly await the next report! Absolutely everyone is welcome at St. Laika's. We are an ecclesial community without any formal membership. You are part of it if you want to be part of it. We are pan-denominational and nobody is excluded because of their personal beliefs or lack of belief. Our worship is from the Christian tradition and our liturgy is borrowed from any source that takes our fancy. We are an emergent church. We go where God leads us. We are an experiment that is attempting to blur the edges between the virtual and the real worlds. It is our intention to have a presence outside of the internet. We are an international group but each of us is based firmly in our own local context. We are what we are. On this webpage we will be creating opportunities in which we can worship together. There will also be articles posted, not to tell you want to think but to get you thinking. If you wish to contribute in any way please email the blog administrator via the link below. You can also comment on any post in the normal blogging fashion although nasty or trollish stuff will be rejected. Pay a visit, say (and hear) the Office, contemplate a saint or two, offer a prayer, and, if you are so minded, read the "sermon" that Jonathan bid me contribute for the inaugural. May God prosper Saint Laika's and all who sail in her, upon the rough waters of this middle earth.